In spite of hundreds of terrorist attacks and on going operations in tribal areas to crush terrorists Emergency has not been announced in the country. But with all this can this reality be falsified that Pakistan is in the state of War? This is separate discussion that whether this war is our own, American or imposed on us by USA. However the truth is that now proxy wars have replaced traditional wars on the boundaries. Different tactics are being used to defeat the enemy. Big powers are trying to take control of their enemies by destroying their economy or through terrorism and internal disputes. Now a days approximately all Muslim countries are fuel of this unseen war. In the traditional war your enemy and target is in front of you, the targets of enemy are also well known, so the army which has better tactics, strategy, weapons and the skill manpower and the willingness of the soldier for death; wins. But proxy war or cold war is much more complicated and needs patience and courage. It is the test of human nerves because you do not recognize your enemy nor his targets are clear, the ignorance about that when, where and how enemy will attack is the real war of this age. Pakistan has sacrificed 30000 civilians and more than 5000 security personnel. In spite of all this, the morale of Pakistani nation and security forces is as high as it was in the start. Moreover the soldiers of Pakistan army has written such stories of sacrifices with their blood that one cant find any example to it in any big or small war in history. The number of soldiers who have sacrificed their lives for Pakistan is so high that it is impossible to write their stories of bravery. All of them had embraced shahadah/martyrdom willingly and not for that they were paid few thousand rupees for it. Nor they were so foolish that they were ignorant of this reality that death is the ornament and fate of those fighting for the country. They were aware that they are sacrificing their lives so that their countrymen are saved, enemy could not dare to attack the country, so that their fellowmen have a peaceful sleep, in order to save their country from enemy. Much great is that passion, how great are those mothers who give birth to such brave sons, brings them up, always tries to protect her son, mother feels hurt when her child is hurt, who she should not feel so, at least he is part of her body. Salam to these great mothers! Who send their sons for being sacrificed for the safety of country, she tries to hide her sorrow of being separated from her son so that when time comes, the sad face of mother may not weaken his steps, while fighting with enemy, he may not recall the sad face of mother and he may lose his courage. Because her son has to safeguard the daughters of this country, no matter he sacrifices his life. Mother of such great courage gave birth to Lt. Syed Yasir Abbas Shaheed on 22 July 1987. In the age of 24 years on 22 May 2011 he sacrificed his life for Pakistan. He was only son of his parents and only brother of three sisters. With the great courage Yasir’s mother heard the news of martyrdom of Yasir, this is beyond the power of my pen to comment over it. Her courage was their after 2 n half month of Yasir’s Shahadat when author met her for interview. During the conversation, several time it became difficult for me to control my tears. I was worried that seeing my tears she may not be able keep up her courage. My childhood friend and class fellow Colonel Jaffar was sitting beside me and observing my state. Colonel Jaffar and me had spent 8 years together in La Salle High School Multan till 1972. After matriculation, he chose medical subjects in the Emerson College, Bosan Road Multan. 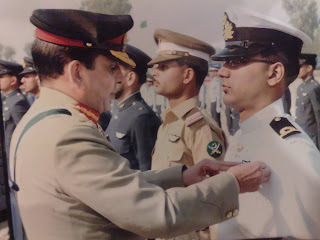 Afterwards he got degree from Nishtar Medical College Multan, completed his MBBS in 1981, and joined Pakistan army. In 1983 when he got married he was deployed at Bahawalpur. But he was in contact with all of his friends. In the function of La Salle Alumni he used to participate along with his family, including Yasir. Yasir was born in Kharian in 1987, at that time his grand-father was deployed in Kharian Cantt. Yasir completed his initial study from Multan, he was in 6 class when his father was posted to Karachi. In 2002 he completed matriculation from Malir, Karachi and F.Sc. in 2004 from Lahore. He passed F.Sc. exams with brilliant marks, he had options to go to different departments. He applied in Pakistan army, navy, Air-force, Engineering University, and NUST. Due to late response from other institutions he decided take admission in electrical engineering department of NUST, however his aim was to join any security department. 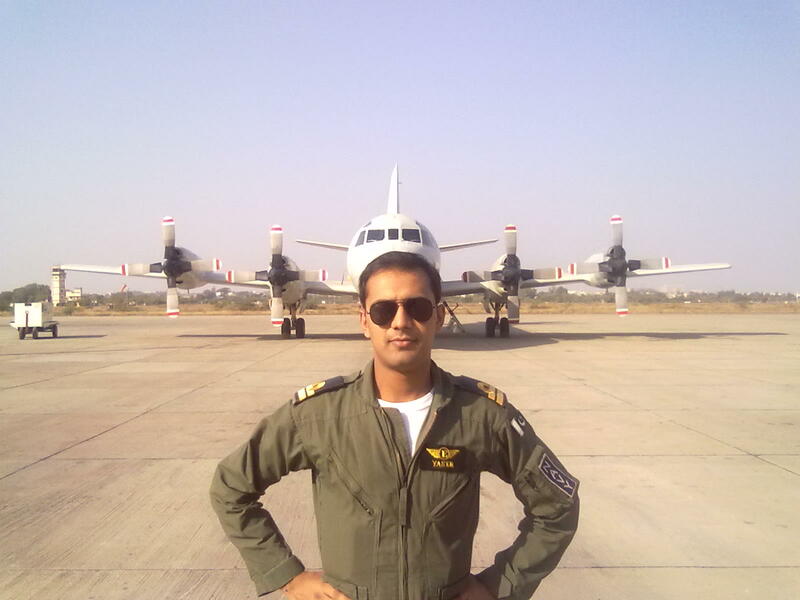 Due to his passion he joined Pakistan navy in 2005 as Aeronautical Engineer. 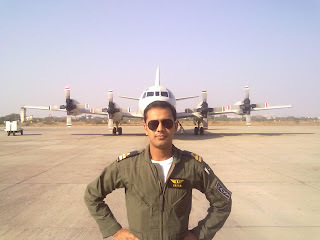 He passed his course of 5 years in 2010 and was deployed at PNS Mehran Base, Karachi. This was his first and last posting in the professional life. According to his class fellows he was very intelligent and brilliant student, he had easily remembered the text he had once read. On the every 14 August he expressed his emotions by decorating whole house with Pakistani flags which he used to buy through his pocket money. He never demanded anything from his parents. After joining whenever he returned to home on holidays, he used to say to his mother, “One day Your son will embrace Shahadat/martyrdom and you will be known as the mother of Martyr”. On last Day of Martyrs PTV had recorded short clips in order to pay tribute to martyrs, one of these clips at a place it was said, “AZEEM MAA DEKH TERE BETAY KA JANAZA AYA HAI” (Look Great Mother! The Dead Body of Your Son is Here). This clip was recorded and prepared by Yasir Shaheed. While watching this clip he became emotional and used to ask his mother, “One day the Dead Body of Your Son will arrive like that, and you will be also known as Mother of Martyr”. This made her very upset, family members took this as a way to tease the mother, but the heart of mother was aware that her son is not joking, he is telling the truth. Yasir Shaheed also made such jokes with his friends too, he used to tell his friends that he will be martyred while fighting with enemy, he will take bullets on the chest in the war. Friends made fun of him that he is not in the army but in navy. Whenever he saw pictures of Lalak Jaan Shaheed or Aziz Bhatti printed on the back sides of the truck, he used to say, “one day Yasir Abbas will be martyred and his pictures will be printed like that on trucks. Due to his such prophecies one of his friends from Rawalpindi has printed his pictures on his trucks. On the night of 22 May when terrorists attacked PNS Mehran, Yasir was talking to his mother and sister through Conference Call on his mobile. As the first rocket was fired he put his mobile in his pocket without disconnecting it. Although mother disconnected the call but his sister was hearing the sound of rounds being fired. According to the information provided by Mehran Base, when terrorists attacked, Yasir Shaheed was on duty as commander of RAPID REACTION FOPRCE on the entrance gate of Mehran base, he had ten persons under his command. However all these persons were not ready for such an attack that terrorists will be able to enter the base breaking all the security measures so much easily and will arrive to the Orion Planes. When Yasir came out one of the Orions was on fire while the other was also burning. Yasir was aware of the value of Orion Planes, he ran towards planes along with his friends, terrorists were directly firing on the fire brigade vehicles, while in order to control the fire it was necessary for the fire vehicles to go near the planes. Keeping in view the situation Yasir started firing in the direction in which terrorists were hidden under the cover of dark. Due to the firing of Yasir and his colleagues, terrorists were forced to engage with them, in order to go near to the other targets it was necessary to silent the guns of Yasir and his colleagues. So terrorists fired at Yasir, two bullets hit him on the heart while the third one a bit lower. Yasir was martyred on the spot, however his resistance had wasted ten minutes of terrorists. It was not possible for them to hit other Orion planes and target the Chinese Engineers, who were present on the Mehran Base in connection with Z9EC Helicopters. After martyring Yasir and his colleagues terrorists tried to capture Chinese Engineers but it was too late. In spite of this they fired on the vehicle which was taking these guests to safe place. Whether terrorists had any support internally or not, or how they succeeded in entering into the Mehran base, this is a separate discussion, analysis can be made only after investigation report is disclosed. But the bravery of Lt. Yasir Abbas Shaheed not only saved Pakistan Navy from further damage, saved Chinese guests but also proved this message to be true, “Look Great Mother! The Dead Body of Your Son is Here…”. 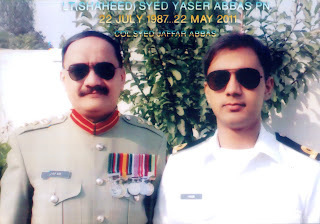 On 20 May Yasir Shaheed wrote on Facebook, “Hard to Beat, Un-Bearable needs Guts”. This message of Yasir is not only for the soldiers fighting in the war but for all Pakistanis that equipped with the courage and love for Pakistan they can turn every impossible into possible. Lt. Yasir is not only the martyr of my city but of the whole nation, keeping in view his bravery Prime Minister of Pakistan had announced that he will be awarded with Nishan-e-Haidar.